If you're looking to sell your home within the next few years, you may be concerned about which kinds of remodels to make. Spending too much money on substantial renovations means making yourself happy in the short-term but compromising your profit in the long-term. Spending too little means home improvements that don't pass muster with home buyers--essentially, wasted money on your part. This list springboards off of the ever-important Cost vs. Value Report, issued annually by Remodeling Magazine. From there, though, it concentrates on remodels that tend to stand up and take notice the most with home buyers. For example, the report notes that fiberglass attic insulation returns a respectable 107% of its initial cost. But attic insulation, important though it is, does not capture the dreams of home buyers and induce them to purchase your home. So this list is tempered by improvements that are prominent and make your home look fantastic. Is your front door anything less than amazing? Consider that all home buyers will see that door and will walk through it. If your front door is lacking, replace it immediately with a steel or fiberglass door, or with a high-quality wood door. Stone veneer is a composite, stone-like material that looks like the real thing. The difference is that it is not structural stone, it is light-weight, and it is flat on back, allowing it to stick on a wall. Stone veneer dresses up a house like nothing else. Not a replacement for siding, it is a siding supplement, usually added along the lower half or third of an exterior wall. It hardly ever pays to do a huge, major gut-out-and-redo-with-granite type of kitchen remodel. Kitchen remodels, as you might guess, can get really expensive, really fast. 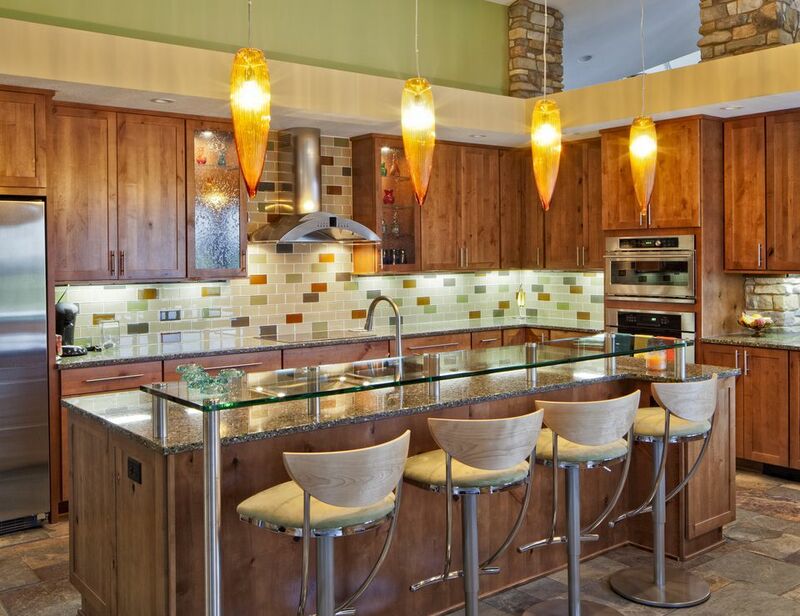 So, keeping your kitchen remodel costs reasonable will pay off better when it comes time to sell. A minor kitchen remodel would meant projects like: cabinet refacing rather than replacing; new solid surface counters rather than slab granite or quartz; and cost-effective luxury vinyl or laminate flooring (both of which can be self-installed) rather than natural stone or porcelain. Fiber-cement siding is a highly valued remodel project. Fiber-cement (Hardiplank is one brand name) will put back nearly 76% of its initial cost in your pocket at sale time. Not only that, it looks fantastic while you still own the house. Midrange cost vinyl siding pays off fairly well, too. Because siding quality is trickling down to all levels of siding, you can expect decent value with the mid-level vinyl siding, as well. Believe it or not, just like vinyl replacement windows, vinyl siding too is going upscale. Colors are richer and textures more convincing. Foam-backed vinyl siding gives you an extra "R" insulation value point or two--not much, but every bit helps. Wood decking returning value at sale? Personally, this one surprised me, but I'm just reporting the numbers, folks. According to the Cost vs. Value Report 2008, wood decking returns nearly 82% of its cost at sale. An unfinished basement means an opportunity lost. Finished basements can double the amount of living space in your house. Some buyers will look at a finished basement as not meeting the quality of above-grade space; fair enough: basements are lacking natural light from windows. But if buyers have small children, they may view a finished basement as a plus. Replacing windows is always a good idea, but replacing with wood gives your house greater aesthetics to attract potential buyers. Wood windows have warmth and a timeless quality. High class vinyl windows? That may seem like an oxymoron, but vinyl replacement windows are no longer viewed as cheap windows to avoid. Vinyl window technology has moved forward, and many features formerly available only with more expensive wood or fiberglass windows can now be found with vinyl windows.